The Engineering Division provides a wide variety of services to the administration and to all other departments of the city. The office provides oversight and inspection services for municipal capital improvement projects, as well as, inspections for private development projects to confirm that they adhere to approved development plans. All construction activity within the City’s Right-Of-Way are required to have an opening permit approved and issued by the City Engineer and are inspected to ensure compliance with city standards. The Division is responsible for performing all survey related activities for city owned properties including outbound surveys, topographic surveys, and as-built information. All capital improvement projects require an existing conditions survey for the design phase of the project, as well as, construction layout for the proper alignment during the construction phase. The Division is responsible for facilitating the safe and efficient flow of vehicular traffic throughout the city. This requires extensive coordination with county and state organizations in the areas of transportation planning, design, and operation. If you would like to report a particular road related problem in the City of Vineland such as a pothole, malfunctioning traffic signal, damaged sign, and more, please click here to determine the appropriate jurisdiction and reporting method. The Engineering Division provides review of all engineering aspects of development applications and provides reports to the Planning Board and Zoning Board of Adjustment as requested. All portions of the application that could affect public facilities, such as streets or the municipally owned storm sewer system are reviewed to determine potential impacts and appropriate mitigation measures, which are then imposed as conditions of the development. The resulting improvements to be constructed by developers are designed by the developer’s engineers, but are reviewed and approved by the City Engineer to ensure compliance with city standards. The office coordinates with the developer, their engineer, and their contractor throughout the construction phase. Any engineering aspects related to the domestic water supply are handled by the Vineland Water Utility, sanitary sewer systems by the Landis Sewerage Authority, and electrical supply and distribution by the Vineland Municipal Electric Utility. 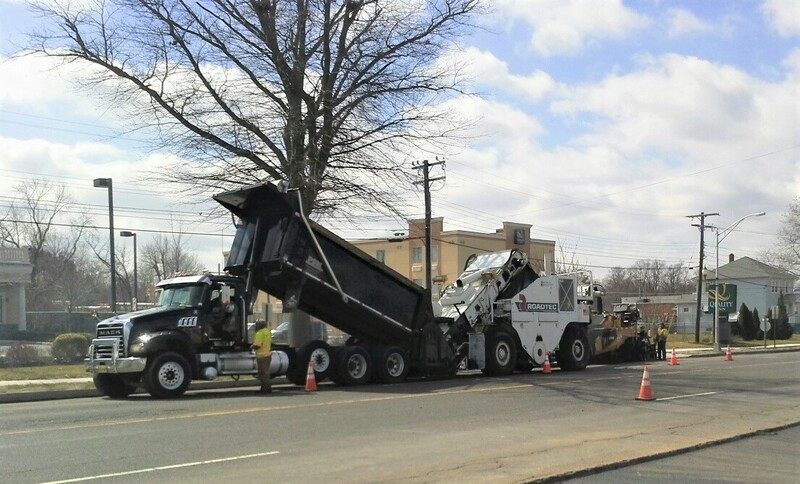 The Division maintains record drawings for all of the city’s streets, traffic signal improvements, storm sewer system, capital improvements, park improvements, tax and parcel maps, as well as, many official maps of the City of Vineland. Click here to access our online maps. Water from rain and melting snow that flows over lawns, parking lots, and streets is known as stormwater runoff. This water, which travels along gutters, into catch basins, and through storm drain pipes and ditches, usually is not treated, but then flows or is discharged into local waterways. Along the way, the stormwater picks up trash such as fast-food wrappers, cigarette butts, styrofoam cups, and more; along with toxins and other pollutants including gas, motor oil, antifreeze, fertilizers, pesticides, and pet droppings. This polluted stormwater can kill fish and other wildlife, destroy wildlife habitat, contaminate drinking water sources, and force the closing of beaches because of health threats to swimmers. Take your car to a car wash where the water gets treated and recycled. Follow directions on the bag when fertilizing, do not apply before it rains and use only when necessary. Properly dispose of your pet’s waste by flushing it down the toilet, or by placing it in a bag and throwing it in the trash. Keep your septic system well-maintained to prevent leaks. How does the City of Vineland address stormwater pollution? The City of Vineland works to minimize stormwater pollution through a variety of actions including the passage of municipal ordinances which protect the environment and regulate land use, through the proper maintenance of municipal stormwater structures and facilities, and through the careful review of applications for new development. Vineland city government also works to educate residents, schools, and businesses through the use of public signage, pollution prevention outreach campaigns, and partnerships with citizen groups and businesses. For more information, visit the New Jersey Department of Environmental Protection Clean Water website at www.cleanwaternj.org.